A dreamer, a fighter, an artist and writer. ....and I adore him and his frequent need to be shirtless! Is going to have chapters 1-17 revised/extended, with each chapter being updated every two weeks until I've caught back up to chapter 18, and then and only then will I begin posting new chapters along the same schedule (once every 2 weeks at a time). Will be Updated Fridays! Is going to be updated once every two weeks for now on alternating weeks from Inescapable. It is undergoing minor revisions to plot, and I'm going to take the week immediately following Christmas to finish and finalize the plot so updates can be smooth and there will be no inconsistencies in the story-line!!! Will be Updated Fridays! Inescapable will have Two more art pieces posted to go with it, a Cover image and a preview image of an upcoming chapter, so keep your eyes peeled for those! MoaB will have art for EACH Chapter posted, although not in any specific order, because I like to mix and match XD AS SUCH, there will 40 more individual pictures at least, posted in groups of 5 like the first image. A total of 8 more images, plus a cover image as well. I'm a glutton for punishment lol! Please enjoy! Please see below for News and Polls for current and upcoming stories! HOLY ANIMAL CRACKERS!!! I WAS NOMINATED!!! And not ONCE---- FOUR TIMES!!!! IMPORTANT ANNOUNCEMENT CONCERNING MEMORIES OF A BOY! This story will no longer be posted here on Dokuga. It has been permanently removed and banned from the site, due to my own poor judgement and misunderstanding of the rules of the site. However unknowingly, I violated one of Dokuga's most sacred foundations and have paid the consequence. To those of you who saw the previously posted link asking for donations, please disregard it from this point forward, and know that I sincerely apologize if I made any of you feel blackmailed, pressured or uncomfortable in any way by posting it. I adore everyone who has given their support to this and my other stories, and hope that you will continue to read it either on deviantArt or FF.net. If neither of those options work, please note me and I'll be happy to email you the updates each week. I again apologize for costing my Dokuga followers the right to read MoaB here, and hope tht you can all forgive me. I also hope that Dokuga will bear me no ill-will for my honest mistake. 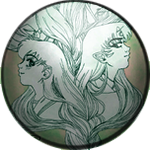 8 years before Kagome found a hanyou sealed to Goshinboku, the young girl finds a familiar silver-haired demon standing beneath the same tree in her time... only much, much shorter. This is a tale of how a demon lord who became lost in the future became friends with a miko who would become lost in the past, and how they found each other... and love. "Everyone deserves to be saved..." A tale of resolution between enemies, allies, times and fates. 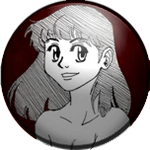 After the Jewel vanishes without a wish being made, Kagome and her companions must discover the truth about forgiveness, love and destiny in order to heal the past and save the future. 5 years before she meets InuYasha, Kagome falls through time to meet his brother after the sudden, tragic death of her father. After a chance encounter with a powerful warrior, the ten year old girl finds herself making friends with a snobby princess and a demon with a serious height complex. Yet when one of her new friends is attacked, Kagome soon becomes caught up in a war that threatens to destroy the people she's come to consider family, as well as herself. This is a tale about a friendship that endures the centuries, a sacrifice that redefined the course of history and a love that defies the boundaries of time. written by two people... now let the crack commence! After what just happened, Sesshomaru can only hope he won't spend the rest of the night in the dog house. Response to MomoDesu's Halloween Challenge: A common Japanese myth scars one the children for life... but who is it, and what does it have to do with Jaken? Kagome has conquered time traveling, subdued a hanyou and made it to college all while shard hunting. Now, with her thesis on the line, she was stalking larger prey... Poorly written crack fic that resulted from a conversation with another SxK fan about our dear Fluffy-sama seeming to be a tad bit ADD... just saying! What could a demon lord-to-be possibly learn at a school for humans? Turns out, more than he ever expected... Collection of school-related experiences Sesshomaru and Kagome had during the year he stayed with her. Memories of a Boy: Untitled??? Collection of stories and speshfuls recounting different events that didn't make it into MoaB and Lesson Learned, including Sesshomaru's experiences after returning to the past, and the reactions of the Inutaichi to Kagome and Sesshomaru's shared past!!! After Sesshomaru joins the group, he make a generous offer to help Shippo with his kitsune training before the next exam- and Kagome unknowingly accepts his offer to help her son... by making her life a living hell! The Event of the Era- Miko versus Inu... Who will win the title of Master Prankster? Fed up with the posturing, insults and death threats, Kagome uses modern inventions to train a certain set of canine's how to behave. However, when it comes to distracting a demon lord from killing her best friend (or teaching him to roll over for her), Kagome might have gotten in over her head. 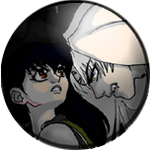 Post Canon: When the Shikon Jewel tried to force Kagome into making a selfish wish, memories of a certain silver-haired youkai gives her the strength to make the right wish and overcome the dark fate of all Jewel Protectorates. But what happens when she returns after three years, and everyone has forgotten her? Youkai don't get weak human illnesses... but what happens when Kagome comes across Sesshomaru with a bad case of worms? Humor Fic for obvious reasons. 08/15/2012: After repeated requests for MoaB to be updated, both on dA and here, I've decided to sit down and hash out the plot-line. Up until now, all 6 chapters have really just been interrelated one-shots based off the images I had submitted for the Sandbox Days Contest. As I had been working on multiple stories with a friend, as well as both Inescapable AND MoaB all at once, understandably, I started to get confused between my story-lines and the direction I wanted each story to go. Thus, MoaB was set aside, and I had meant for it to stay on hiatus until I had completed Inescapable. So, I re-read through all the chapters today, and then sat down and completely worked out the full plot outline. Next, I'll be working out the sequence of events for each chapter. I already have some pretty epic twists and turns planned. Just so everyone knows, the final chapter, while not completely written, is pretty much already set in stone. I was actually crying AND smiling stupidly while outlining it... I was surprised with the direction this story took me, and once I start posting chapters again, I'm hoping you will all be pleasantly surprised as well! Now that my babbling and blubbering is done, let me explain the part you are all actually waiting for: what the update schedule for MoaB will be and when the next chapter is going to be up. Chapter 7 is tentatively going to be posted this Friday. That's right people.... you may squee. IF THERE IS ANYONE WHO WOULD LIKE TO BETA THIS STORY, PLEASE NOTE ME!!! I'm doing things this way so there's more of a steady update of fan-fiction from me instead of slamming it all at you on the same days. I'm hoping this will keep everything evenly spaced out. Maybe. We'll have to wait and see! Aaaaaaaand.... that's all for me now :3 Hope this makes everyone happy!!! A collection of drabbles and one-shots related to our favorite miko and inuyoukai! Each story is based off a writting challenge/prompt, and was written by myself AND my friend Stephanie! That's right- every story was written by two people... now let the crack commence! Sesshomaru Love and Beauty... Shock? Is he doing what I THINK he's doing... in his SLEEP?! I love getting your reviews! You leave me such details ones, and as I'm sure you're aware, that's relatively rare! That said, I'm sorry it's taken me so long to thank you for your last one! So thank you! I'm still deciding what to do with Kouga/Kags, but I'm thinking it's time, or almost time, for an Ayame shaped wrench to show up. Or another wrench. I want something different, but I'm still trying to decide which way I want to take it. It's been months, and I felt horrible, but I just completely lost where I wanted to go with the story and so everything I ended up writing, I hated. I think I had like 10 chapters written at one point that I never uploaded, and in fact deleted at some point, because I just didn't like the direction it was sending the story. Now that I have my flow back, it's not hard at all. I think I just had so much stuff going on with school and work that I lost all urges to be creative. I even got a C in my drawing II class, because I couldn't focus in there either. It was horrible. But I'm definitely glad to be back, LOL. As far as gramps, it really wasn't his fault, but I can't go into that yet without giving away major plot lines. T_T And Kouga/Kagome really is one of my favorite pairings. Hatter Theory has one on ff.net that I just love called Ton Up, and it's been making me want to write one of my own LOL. And I'ts a lovely offer I'd normally take you up on, but I'm under a gag order about posting it online right now. I'll be able to talk in two days though! Hope all is well, and I can't wait to see what you have up your sleeves! That's a really cool idea with Pepe, I just might have to do that! *giggles* And now you've made me want to make it a running drabble for the costume's. Man Fae! You just know how to get my muse up and running, don't you? Again, your review made me laugh and smile. xDxD As far as gramps go, his actions have later explanations in the story that are just now forming in my mind LOL. and OMFG if you do fanart....I'll so owe you LOL. I'll write you a fic or something with anything you want LOL. And I just might take you up on that help thing ahaha. Cellular respiration and photosynthesis are killing me.